HSE works with the STUC to promote worker involvement and to support health and safety representatives. The STUC and individual trade unions are represented on the Partnership on Health and Safety in Scotland (PHASS). The STUC unveiled a permanent memorial to Scottish workers who lost their lives while working. 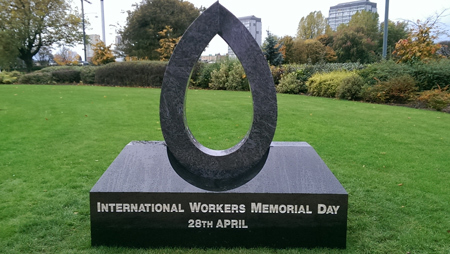 The location, next to the People's Palace and Winter Gardens at Glasgow Green, will provide a fitting focal point for gatherings on Workers' Memorial Day, 28th April, each year.